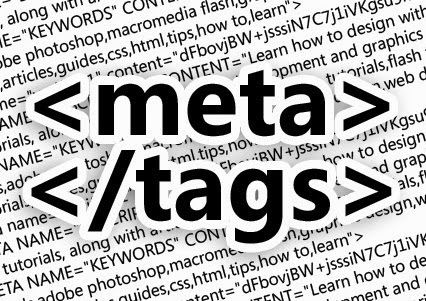 Robot meta tags let you utilize a granular, page-specific approach to controlling how an individual page should be indexed and served to users in search results. In that sense, you can somewhat control how search bots see and serve your page. Every major search engine has its set of robot meta tags, and often they're the same. You can, however, use search engine specific robot meta tags to control how your content is shown to users on Bing. Bing supports most of the popular robot meta tags. Each of these tags can also be emitted as X-Robots-Tag: in the HTTP response headers for a page. Below is a list of all the robot meta tags supported by Bing. Note: In all cases, you can replace the generic name="robots" with name="bingbot" or name="msnbot". In this way, you can limit the meta tag to only apply to Bing. You can combine multiple values using a comma (e.g. "noindex,follow"). You can place the robots meta tags in the head section of a page. The noindex meta tag is fairly popular. Just like with Google, you can ask Bing to not index a certain page. Maybe you're designing a page, and it is not complete yet, so you ask the search engine(s) to hold off until you're done. Or maybe you just want to hide certain files from search index. Instead of blocking access to a page with your robots.txt file, it's better to use a noindex meta tag. By default, search engines assume "index" but if needed you can use <meta name="robots" content="index"> to explicitly state that bots may index the page. A nofollow with a link (<a>) tag tells search bots to not follow that link. If you want bots to not follow any of the outbound links on a page, you can use this meta tag instead of manually setting all links to nofollow. This can be useful if you're managing a forum or chat platform where you want to prevent publicly writable areas to be abused by spammers looking for link credit. You can also use the meta tag <meta name="robots" content="nocache"> to achieve the same effect. These tags tell search engines not to store a cached page for this document. Major search engines keep an indexed copy of your webpages in their cache by default. This directive tells them not to store a certain page. This tells search bots to not use a description extracted from the Open Directory Project (http://dmoz.org) for the page. This meta tag tells the search bots to not show a description nor a preview thumbnail (where applicable) for the page.